We've made a couple of reporting improvements that we'd like to share with you. These improvements affect R208 and several reports that report on Prova test publishes. Changes to the progress filters in report R208 have simultaneously made the report filters more robust, more comprehensive, and removed a tendency for date conflicts that could be encountered using the old filters. 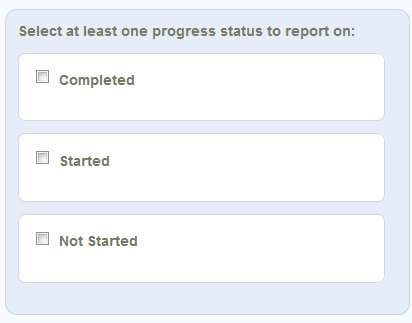 You will see these changes in Step 3 of the report wizard starting on April 1st. You asked and we listened! There is now a toggle to allow reports to roll all of the publishes of a Prova test into one result. 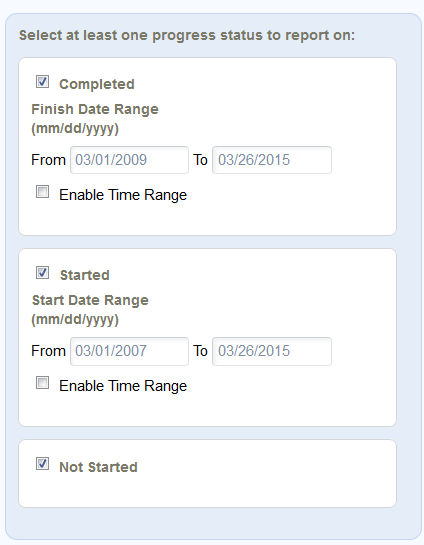 To enable this feature, insert a check in front of the Group Published versions option. Note that reports now group publishes by default.